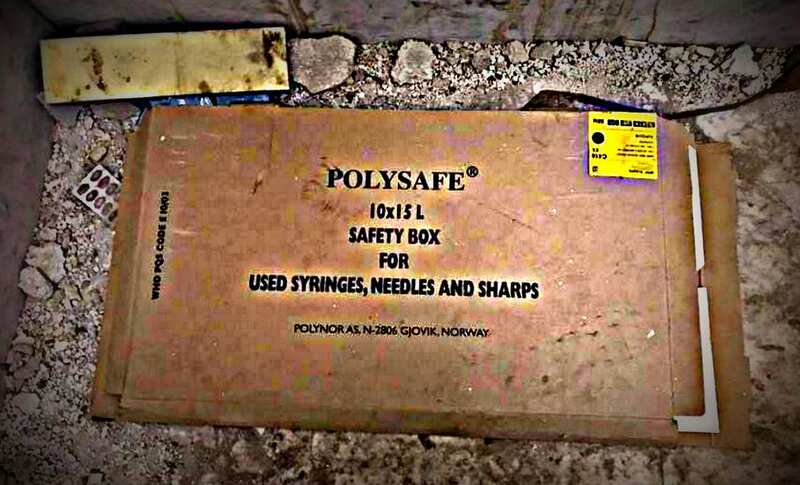 Norwegian NGOs are smuggling millions of our tax money into Syria and that they are working with terrorist groups. The areas into which they are funnelling our money are controlled by terrorist groups such as al-Qaeda and are considered so dangerous that they do not dare to send in their own personnel, writes Eva Thomassen. 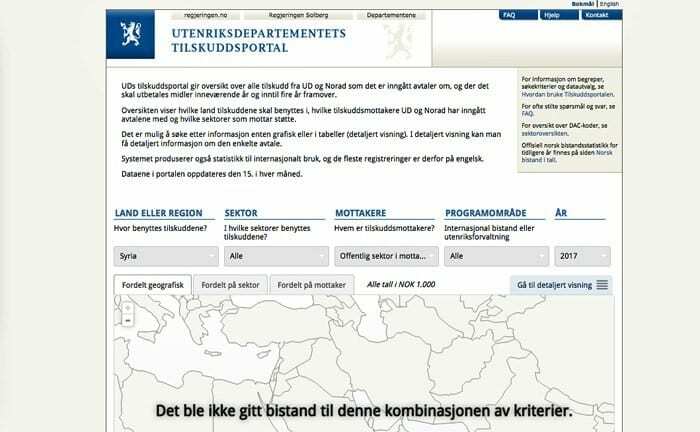 The Norwegian government boasts of Norway having granted more than 3 billion NOK “to Syria” since 2011. Yet, Norwegian aid is only given to 10% of Syria, and ONLY to areas that are under the control of terrorist groups. Idlib plays a key role here—an area that is now considered to be al-Qaeda’s new base in Syria. The Herland Report comments: It is one of the greatest scandals of our time: Especially after 2011, western media has, to a shocking degree, become a biased mouthpiece of the Islamist, al-Qaeda-affiliated groups’ narrative and world view in the Middle East. In October, I was subject to a massive personal attack and political rhetoric, with the obvious aim to delegitimize my work from the Norwegian mainstream media owned, “fact checker” Faktisk. 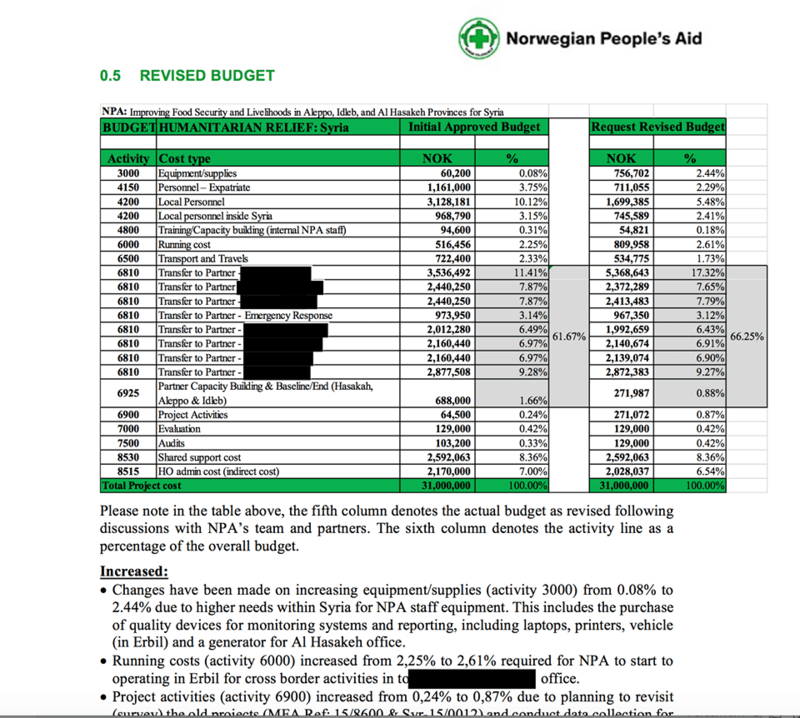 They claimed that I was lying in an op-edge at The Herland Report, saying that none of the Norwegian relief agencies (NGOs) will account for who is receiving Norwegian tax money or what the money is actually being used for in Syria. Maybe the NGOs not know where the money actually ends up? Eva Thomassen is a sociologist and war reporter with an emphasis on the Syrian conflict. She has many years of experience with Syria, she’s lived and worked there and for a number of years has travelled to the country in the midst of the ongoing civil war. She currently collaborates with international western activists and writes to expose facts about the Syria war that seldom are reported on in the mainstream media. Thomassen has long called attention to the fact that the Western media narrative we are presented with is strongly influenced by war propaganda and is not in line with the principle of respect for national sovereignty and international law. Norwegian “Faktisk” journalist Tore Bergsaker used the well known tactic of political rhetoric with the apparent aim to delegitimise my work. Yet, the mainstream media’s “fact checker’s” own article contains mistake after mistake. I wonder whether Bergsaker has even read the documents he cites in his article, as they confirm my argument that internal correspondence between the organisations mentioned and the Ministry of Foreign Affairs (MFA) and reports have been concealed. This mainstream media “fact checker” does nothing more than repeat the stories and truths told by the NGOs, blindly believing them, with no fact checking whatsoever. He presents a host of inaccuracies in the flurry of factual errors that Faktisk presents in its analysis. The Norwegian government decided to tag along with sanctions drawn up by the U.S., the EU and others without first consulting representatives elected by the people. The sanctions entailed cutting off all transactions between western banks and the Syrian central bank. This means that people cannot transfer money to Syrian banks, use cheque cards or shop online, exchange foreign currency for Syrian pounds or pay with U.S. dollars. Nor can anyone send money by plane because all air traffic between western countries and Syria has been banned as part of the sanctions. In addition, a visa is required for Syria. The borders dividing Turkey, Iraq, Jordan and Syria are controlled by various terrorist groups. You do not need a visa there, but you will need money and contacts in the groups that control the illegal border crossing points. 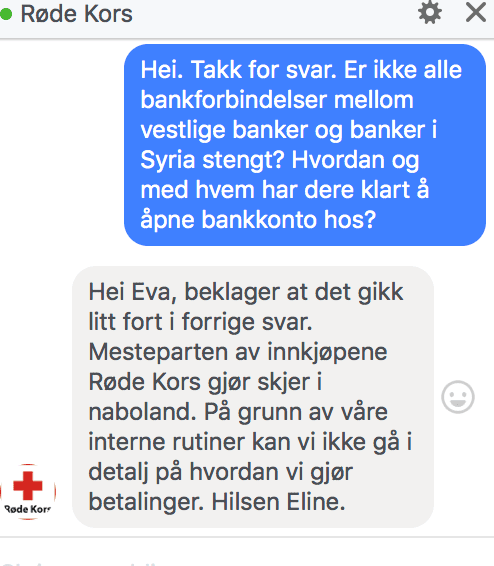 Couriers bearing millions in cash and unnamed middlemen might not be what Norwegian relief agencies want us to associate them with, but how else is the money from banks in Norway ending up in the hands of those in war zones controlled by various terrorist groups? 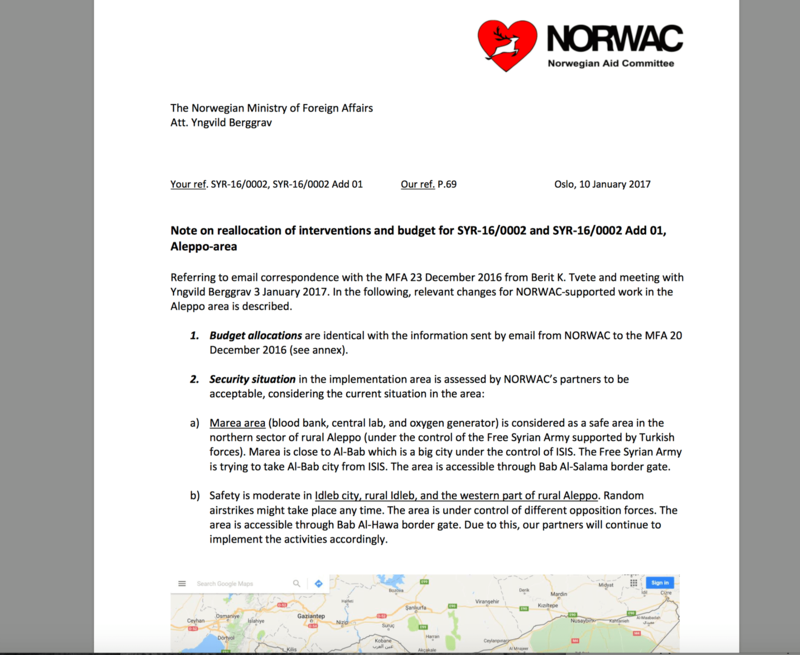 The Norwegian government boasts of Norway having granted more than 3 billion NOK to Syria since 2011. But to whom “in Syria”? The Syrian Government led public sector in Syria, which is under significant sanctions that affect the civilian population, receives not one dollar. This are the areas where 90% of the civilian population in Syria live, where the Syrian government is in charge of education, healthcare etc. Since 90 % of the Syrian territory is not provided with a single US dollar from the Norwegian Aid relief agencies, you cannot argue that the money is going to “Syria”. To be honest and frankly more explicit: Norwegian aid is only given to 10% of Syria, and ONLY to areas that are under the control of terrorist groups. These western-backed rebel groups control, as we have learned, ALL aspects of the society in which they operate, as well as aid funds, cash, materials and the military. Idlib plays a key role here—an area that is now considered to be al-Qaeda’s new base in Syria. 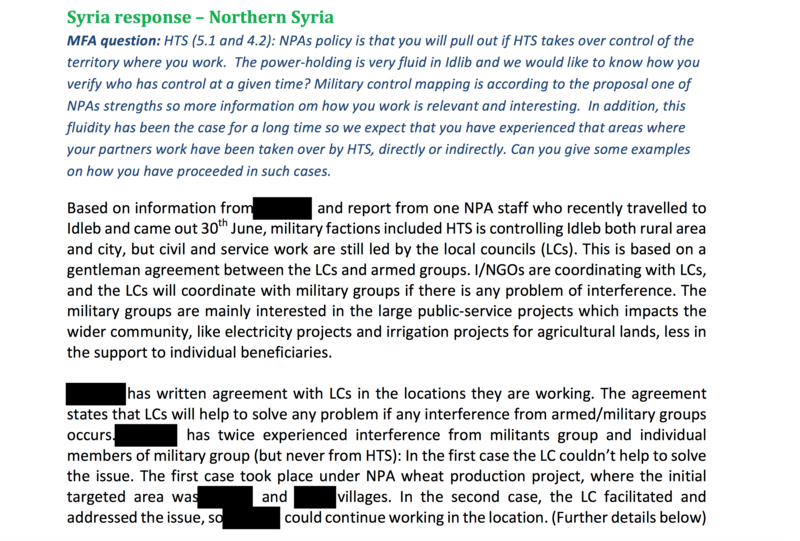 Shown here is correspondence between the MFA and Norwegian People’s Aid that gives a closer look at the relationships and cooperation between these kinds of “local councils on the ground” and military groups. Here are some interesting “gentlemen’s agreements” that media sure should investigate further, in their search for the truth about where the NGO aid often actually end up. The better part of the money is given to the Norwegian relief agencies NORWAC, Norwegian People’s Aid, Norwegian Church Aid, the Norwegian Refugee Council and Save the Children Norway. They cooperate accordingly with “local councils” —we saw a nice photo of one of them featured at the top of this article, namely the East Aleppo City Council. The photo is cut down in size here. This gives you an idea of what kind of “councils” we are talking about. 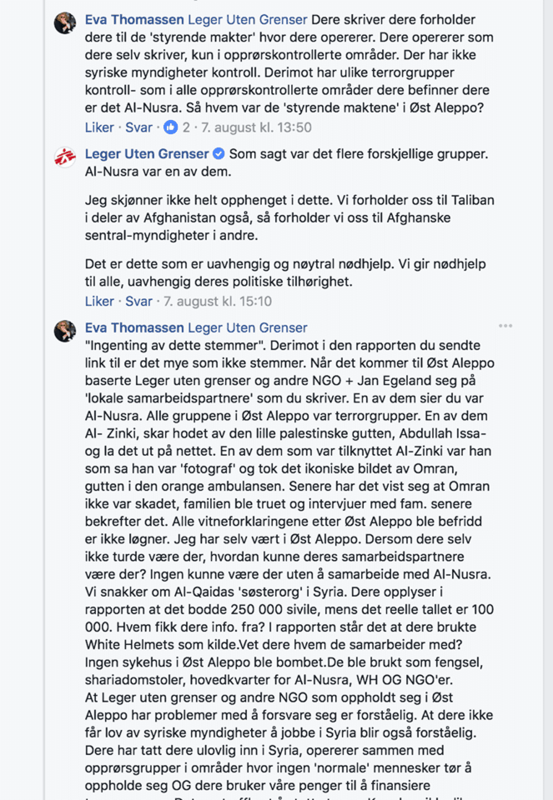 The letter is also a good illustration of the issue at hand: the Norwegian aid workers’ personnel are entering al-Qaeda affiliate-controlled Idlib where they work together with these groups’ “local councils” and have “gentlemen’s agreements” (undocumented, verbal agreements between parties) with them and the terrorist groups that control the area. To remind you again of who the end users are, refer to the photo. We might stir up a debate about whether the al-Qaeda-affiliated groups that now control Idlib province can be described as terrorist groups—that is if someone objects to my referring to them as terrorist groups. But I will assume that this is unnecessary. 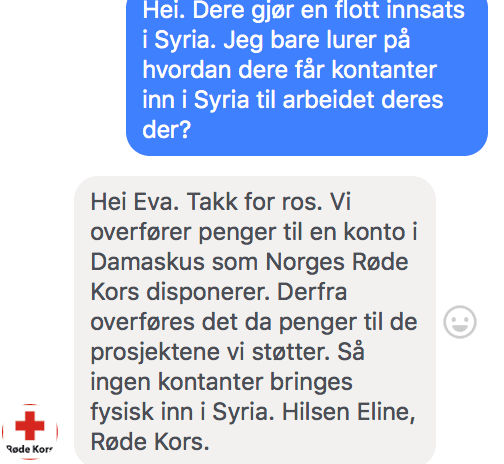 My correspondence with Doctors Without Borders in Norwegian confirms that this organisation cooperates with the ruling powers in the areas in which they operate. And Doctors Without Borders operates, as they themselves confirm, in al-Nusra-controlled (al-Qaeda in Syria) areas, among other places. In their efforts to prove me wrong, mainstream media owned “fact checker” Faktisk has reviewed the grants received by Norwegian relief agencies (NGOs) from the MFA and their reports back to the MFA. They link them to a number of reports from NGOs to the MFA and various conversations on the subject. Yet, these documents confirm that neither the NPA, nor the Norwegian Refugee Council, nor Save the Children Norway, nor NORWAC, nor Doctors Without Borders nor Norwegian Church Aid have their own personnel in Syria. It is too dangerous to be present in the areas where Norwegian aid is given. Further, the aforementioned relief agencies operate in the same areas of Syria: Idlib, Hasaka, the Aleppo region and in areas around the city of Damascus. All of these areas are controlled by terrorist groups—all under al-Qaeda/al-Nusra. In an internal report between the MFA and Norwegian People’s Aid, NPA informs that Idlib is controlled by al-Nusra/al-Qaeda. This was confirmed by the MFA. In reports from NORWAC, they write that they are in areas in Idlib that are under the control of a number of terrorist groups which they mention by name. My argument is that the NGOs CANNOT account for who gets the money and, consequently, do not want to account for it. The reason being that what is known as a Hawala money transfer system—an Informal Value Transfer System (IVTS)—has been established in rebel-controlled areas and neighbouring countries that NGOs use solely for getting cash into Syria. In short, the NGOs are using couriers to deliver money across borders to a network of informal ‘money transporters’. When NGOs say that they give cash to various local partners, they have no control over whether this money reaches the final recipient. This system is mentioned in a number of international reports and numerous cases are cited where money transferred via the Hawala system ends up in the hands of terrorists in Syria. This money transfer system has proven to be used by terrorist groups for getting money into Syria, disguised as aid. The Telegraph made mention of the money transfer system as early as in 2013: “Charity cash going to Syrian terrorist groups”. One problem is the lack of receipts or ‘bank statements’ from this network. It is notorious for being a network of informal “money transporters”. It is via this system that the infamous terrorist group al-Shabaab in Somalia gets money from Norway. This is the system that the Norwegian relief agencies use. What happens after cases of cash cross the border into Syria is something that no one has control over. Billions in aid are transferred into Syria this way. The Norwegian Refugee Council mentions this in their report titled “Remittances to Syria. What Works, Where and How” in 2015. Several international reports have referenced a number of cases where the money ends up in the hands of terrorists in Syria. Former Norwegian Minister of Foreign Affairs, Børge Brende also commented on the issues of problems related to transparency in mainstream news outlet VG. So this is nothing new. Another dubious side of this is that the couriers are paid commission for their work. The more dangerous the area in which they operate, the higher the commission. Billions in aid are transferred into Syria this way. The NGOs have NO guarantee that the money is not going to terrorist groups. The mainstream media “fact checkers” have not checked the recipients or receipts for all of the millions that the Norwegian NGOs are transferring to Syria. The NGOs stating that they use the money in Syria and then presenting an account sheet with no receipts just does not cut it. Where are receipts that show how the money was used? What’s more: reviewing the account sheet and internal correspondence between NPA and the MFA, you will see that not a SINGLE partner is mentioned by name. They are referred to as “finance partner”, “monitoring partner”, “logistics partner”, “border guards”, “project coordinator”, “political advisor”, “country team” or simply “partner”. Does the MFA know who they are? There must be documents that faktisk.no has not referred to. We do not get to know who the recipients of the money are. Again, precisely my point. What we do know is who has control in the areas where these NGOs operate. Norwegian People’s Aid reports to the MFA that all of Idlib is under the control of al-Qaeda/al-Nusra—both the rural areas and the city. A Local Council (LC) was established that handles civil cases in Idlib through a “gentlemen’s agreement”, as NPA calls it, with al-Nusra and other groups. NPA’s “partner” deals with the LC. If there is trouble, it is the LC that raises the issue with the terrorist groups. Who serves on this city council? In East Aleppo, where NPA was before Idlib, al-Nusra sat on the council as we have seen above. The mainstream media should ask Norwegian People’s Aid about who this “partner” is with such good contacts within al-Nusra that he can act as Norwegian People’s Aid’s right-hand man in Idlib. 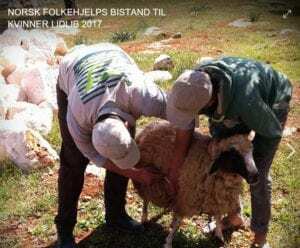 Furthermore, Norwegian People’s Aid reported to the MFA that al-Nusra is more concerned with major projects such as supplying electricity and agriculture than with small sewing and knitting classes. My question then becomes: what does NPA do about the demands coming from al-Nusra? Has faktisk.no asked NPA about what funds went to al-Nusra to do with what they wished? The question should be asked because NPA received 30 million kroner from the MFA in 2016 for “food and subsistence” in Idlib. 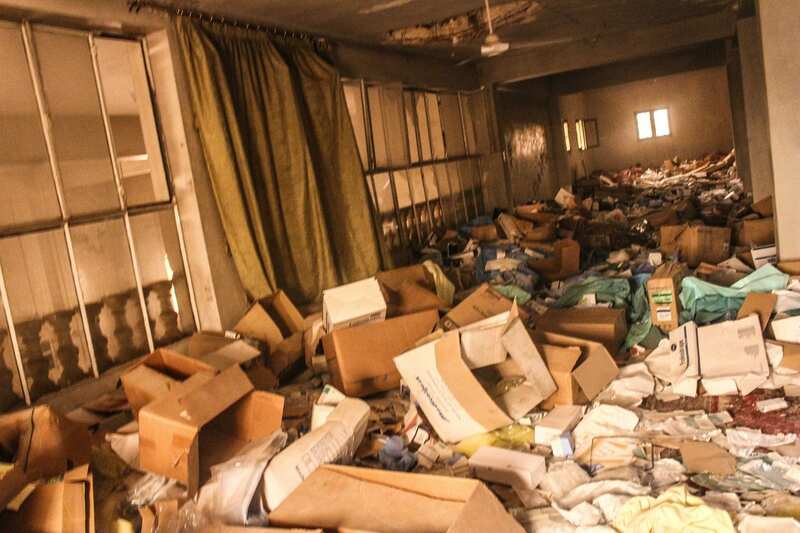 In a letter to the MFA, NORWAC reports that they have established several medical facilities in Idlib and feel that they are safe in areas controlled by a number of terrorist groups. My argument holds true and I assert that this cooperation between the NGOs and the MFA is also a gentlemen’s agreement. Norwegian foreign policy camouflaged as foreign aid. Another very important piece of information of wide interest is: “When does money in an account turn to cash”? Is the cash transported all the way from Norway? Unlikely. It is more likely that the large sums of money are withdrawn in cash in one of Syria’s neighbouring countries and smuggled over the border. What kind of bank do you have to have to be able to take out millions in cash? When the cash arrives in Syria, it is in dollars. Dollars cannot be used in Syria. How is the money exchanged for Syrian currency? It cannot be done in a bank. It is clear that large amounts of cash are flowing. Earlier this year, a cash sum equivalent to more than one million kroner was stolen from NORWAC’s office in Lebanon by one of the “local personnel”. This was money from the MFA that was supposed to be used in Syria. The areas that are earmarked to receive aid in Syria are also under the full control of terrorist groups. Norwegian People’s Aid has been asked by the MFA to account for the relationship these militant groups have with their alleged aid efforts. In their reply, Norwegian People’s Aid cites a “gentlemen’s agreement”. Surely there is no one who can take this seriously? Faktisk.no should conduct a serious investigation here. Strictly speaking, shouldn’t the MFA do so too? Once again, my argument that there is ambiguity surrounding who is receiving support is confirmed. After having reviewed the materials, internal correspondence, reports etc., I can confirm that Norwegian NGOs are, in fact, working with terrorist groups. They are funnelling money illegally into Syria, thereby committing the offence of cash smuggling and potentially funding terrorism, which is a violation of the law in Norway. One might also ask “what are we doing with six Norwegian relief agencies in the same areas of Syria, all of which are under the control of terrorist groups”? The chances of being able to trace the money are slim, which leads us back to the question that Faktisk has investigated: do we really know who the recipients are? Can the MFA document who the final recipients actually are in this chaotic landscape of war where Norway only works with rebel groups and all of the money goes to them? Only three individuals from the MFA have been responsible for the disbursement of around 3.5 billion kroner to “Syria” from 2011 to 2016. In their evaluation, the MFA criticises itself for its highly unclear and loose criteria in all aspects of the aid funding. “Norway provides support to a variety of initiatives and partners with no apparent overall plan. They are also critical of the lack of risk assessments on the part of Norway in its selection of partners, among other things. You cannot, in the long run, continue to keep to so few people and with so little documentation of decisions. There is a need for decision making processes that can be traced and documented further down the line”. If we are to understand the Ministry of Foreign Affairs correctly, in all likelihood, much of the money in Norwegian aid has simply disappeared without a trace. one have to make note of which NGOs are participating in this scam and be sure not to give them any money and inform the public bypassing the Fake news media that hide this information. Our politicians seems to go through great lengths to appease the neo-conservatives like McCain and his strategists in the Pentagon in their support for terrorism. Their last deed was to smuggle ISIS remnant fighters from Raqqa out the back door..